What does a road bike do that’s different? How we brought our list to life? 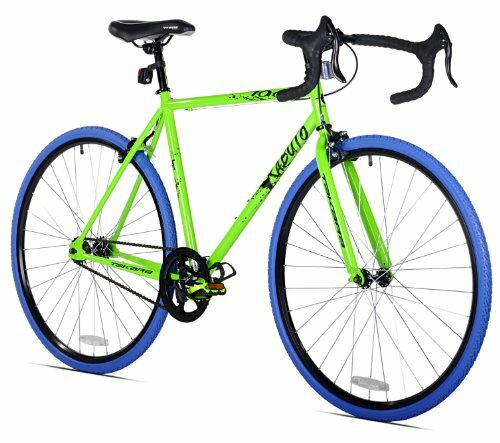 Can I customize my road bike? 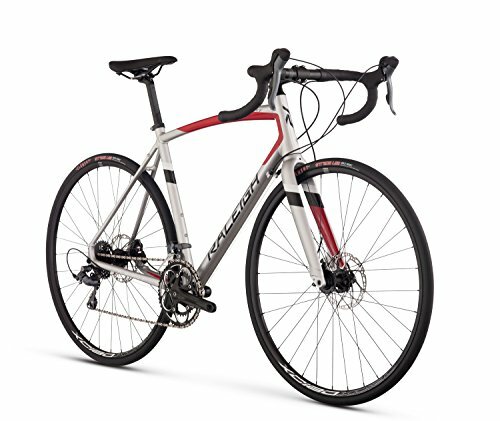 Are road bikes easy to ride? So you’ve decided to make the jump to a road bike, have you? Well, you’ve made the right choice, especially if you are someone who travels frequently and likes to mount roads to get to your chosen destination. Road bikes are only increasing in popularity, with everyone from your morning commuters to your avid bike enthusiasts joining this exclusive club. As you’ll come to learn from this article, road bikes are not only faster than your basic bike but a lot more responsive too. This article is intended for a lot of riders out there, but mostly for those who don’t know what to look out for when it comes to road bikes. We consider ourselves experts when it comes to these sorts of topics as we’ve spent our entire lives around bikes of all shapes and sizes. In our experience, road bikes are more efficient at getting places as long as they stick to roads/flat surfaces. In this article, you’ll find a list of 10 of the best road bikes going right now! A list we have worked incredibly hard on to bring to you today. If you find that you are still left with questions once you’ve gone through our bikes, then our buyers guide further on in the article should cover a few bases! Now, without any further interruptions, let’s get into it! Below you’ll find 10 of the best road bikes going right now. We should point out that this list is in no particular order, so don’t go jumping straight to the tenth bike as it might not be for you. This list features some of the most diverse road bikes available presently, meaning each might appeal to a different sort of rider — a purposeful decision on our part to appeal to the most people possible! On a budget? Check out these road bikes under $500. The first road bike in our list here comes from EUROBIKE, a name that most bike enthusiasts will have already heard of. This bike comes with an extensive disc brake system, the kind that’s been proven to last a lot longer than most V brake systems. With this bike, there are countless color options to choose from depending on what sort of style you like. The brakes on this bike are incredibly consistent and will definitely respond once you’re ready to stop! Why We Liked It – There aren’t a lot of road bikes out there with brakes this good, we promise you. Don’t forget to upgrade to top-quality road bike pedals. What our next road bike promises are the smoothest of rides! With double butted alloy smooth wielding, this bike is not only durable, but it’s also rather effective at getting you places! With this bike you can easily remove the front and rear brakes, meaning you can customize this bike as much as you want! Cycle for hours on end with this road bike and never look back! The 6KU Aluminum Fixed Gear Single-Speed is one of our favorites, and we think you’ll like it too. Why We Liked It – This bike allows you to coast, letting you enjoy the ride without fault! Available in a rainbow of different colors, Schwinn’s network hybrid bike is one of the more consistent road bikes on the market right now, allowing you to travel at great speeds no problem! The aluminum frame of this bike makes it incredibly durable too, complete with a suspension fork. 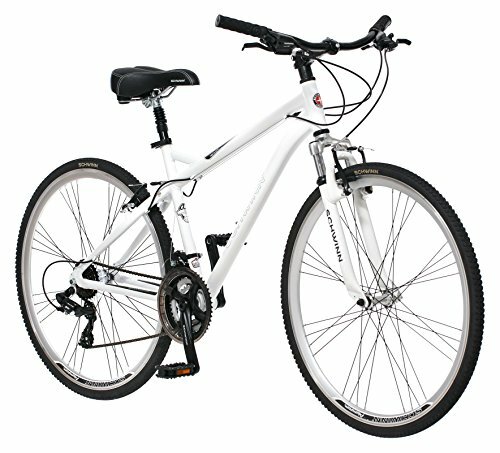 Alloy rims found on this one are incredibly lightweight, yet strong, allowing you to cycle as you wish! The seat of this road bike is incredibly comfortable too, fitted with some of the softest paddings you’ll find in a road bike. Why We Liked It – Comfortable is the word that comes to mind when thinking of this one, check it out if you want to feel as relaxed as possible when you ride. The Pure Cycles Classic 16-Speed Road Bike is yet another lightweight road bike, a classic when it comes to road bikes since this one comes with 16 speeds. At the front and back of the bike, you’ll find alloy caliper brakes, incredibly responsive brakes. The drop bar of this particular bike will enable you to set the bars to a position that you’re comfortable with. When this bike comes, it is 90% assembled which shouldn’t prove to be much of an issue to those eager to climb aboard! Why We Liked It – With 16 speeds you’ll find that variety is the spice of life with this particular bike! Featuring a classic road bike design, this aluminum road bike from Raleigh Bikes might be one of the more extensive road bikes we’ve included here. This bike allows you to travel light and fast, making it one of the most consistent road bikes going right now! The Merit 2 will take you places, literally in this case if you are looking to travel far. We can happily say that this Raleigh Bikes Merit 2 Endurance Road Bike is rather comfortable too, which definitely helps if you travel long distances! Why We Liked It – Raleigh Bikes is one of the leading names in the world of cycling for road bikes such as this one! Chicago-based manufacturer Schwinn has been featured multiple times in our list here with good reason! Their products are incredibly consistent, and they only get better as time goes on and the more you ride! 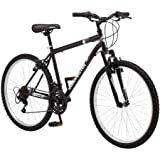 The Schwinn Phocus road bike is the perfect road bike for any females out there. Fitted with rear and front brakes and carbon fiber frame, this bike might be one of the best road bikes out there depending on what your preferences are! Why We Liked It – One of the best lightweight bikes we came across, a bike that every avid cycling enthusiast should buy! 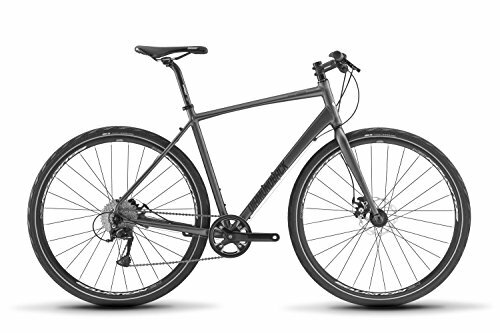 The Diamondback Bicycles Haanjo 1 Gravel bike is listed as an adventure road bike, which means you can travel across all sorts of terrain, ideal for those who like to go off the beaten path every now and again. Made out of a sturdy aluminum frame, this is a bike that is built for endurance, the kind that is built to last. The flat handlebars of this road bike make riding upright rather easy. 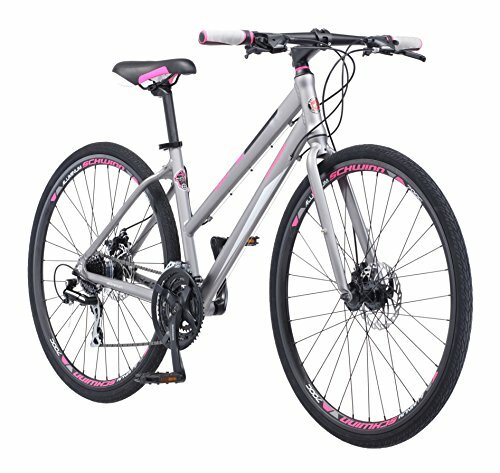 This bike comes with 9 speeds total, perfect for cycling up hills and things of that nature! Why We Liked It – Most road bikes will have you stuck on the road, whereas this bike can have you traversing all sorts of terrain. 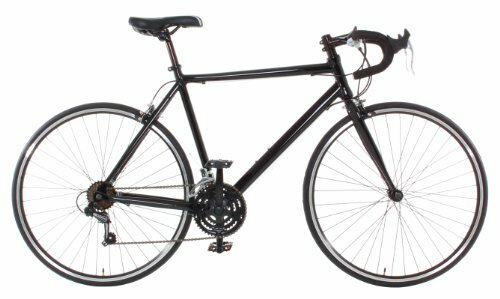 Pretty much every site that lists this road bike have it listed as a commuter bike, which is incredibly accurate although we found this Takara Kabuto Single Speed Road Bike to be incredibly versatile. Although this bike only has one speed, it does not then mean that it isn’t worth checking out. If anything this bike is a lot more consistent in what it preaches compared to some of the more flashier road bikes we have in our top 10 here. The steel frame and fork makes for an incredibly durable ride. Why We Liked It – There’s something very appealing about a bike that doesn’t try to oversaturate itself in terms of features; there’s beauty in simplicity. The last Schwinn road bike on our list here and arguably one of the best. 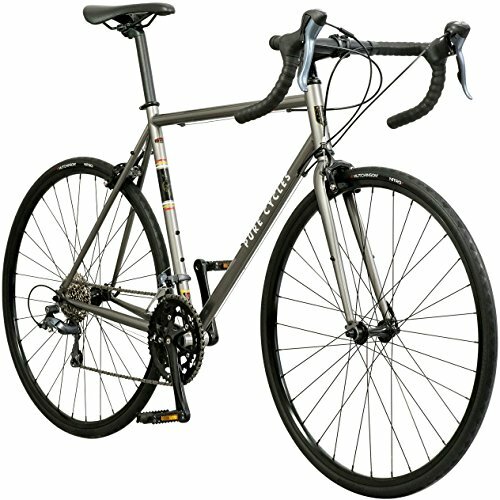 Yet another aluminum road bike, this one comes with Schwinn’s signature sports suspension fork, optimized for fast, efficient riding on a grand scale. The Schwinn Phocus 1500 Flat Bar Road Bike’s main appeal comes via the 24 speeds that are readily available to the rider the moment they mount up! To top it all off, you have high profile double wall alloy rims that are handcrafted to improve durability! Why We Liked It – Schwinn is hands down one of our favorite bike manufacturers because of road bikes like these! At our number 10 spot comes one of Vilano’s finest bikes to date! Their aluminum road bike is a thing of legend, the sort of road bike that will see you through many years of use without fail. 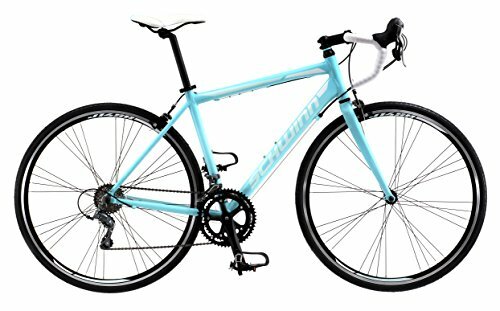 As far as lightweight road bikes go, this Vilano – Aluminum Road Bike Commuter Bike could very well be the lightest. Complete with Shimano thumb shifters and doubled walled CNC machined sides, we can’t help but think that this is one of the most consistent road bikes available right now! Why We Liked It – Consistency is key when it comes to these sorts of bikes. Vilano should be commended on a job well done with this one. They say that there’s nothing like riding a road bike, especially during bouts of warm weather! Welcome to the buyer’s guide, a section where we will be going over some of the finer details of owning a road bike of your own/what to look out for if you are going to go out on your own to find a different bike not featured in this article. We’ll also briefly cover how our list was assembled to give you an idea on what we looked out for. We understood going into this article that we were only including 10 products outright. There are hundreds if not thousands of road bikes out there right now, meaning our list — although great — only features a select number of road bikes. We believe we have found the best of the best when it comes to these bikes, a list that we have worked tirelessly to put-together for you so that you don’t have to! If you don’t find what you’re looking for, we can at least rest easy knowing you know what to look out for! 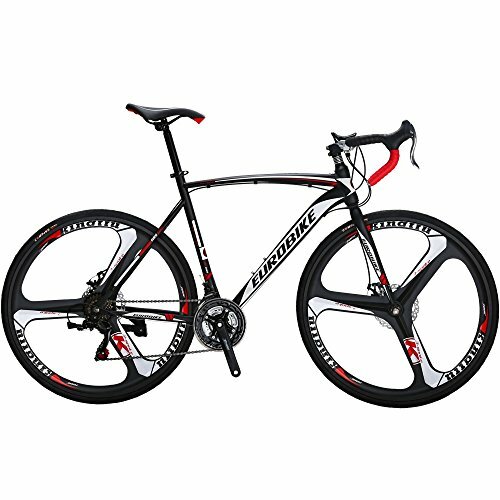 Road bikes have been designed for endurance and speed primarily. 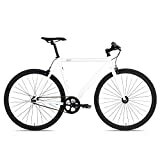 Visually speaking, road bikes tend to be a lot lighter in comparison to mountain bikes/BMX bikes and the shape of the bike tends to be a lot more streamlined for maximum speed. You’ll also notice that the handlebars are shaped just a little differently, looping horizontally rather than vertically. Why this is, comes down to the position of your body when on the bike! Road bikes have been designed for better control and durability when on the road. These bikes put the rider’s torso a lot lower level than usual, allowing for better control/traction. There’s a reason why these bikes are used at the Tour De France! Where these bikes thrive is on long stretches of flat terrain. We wouldn’t recommend cycling on dirt paths or rocky terrain for apparent reasons. The wheels on a road bike are a lot thinner than normal too, this not only decreases the weight of the bike but allows you to travel a lot faster too! There are various sorts of road bikes out right now, all offer something different depending on where you’re traveling too and your own personal specifications. Most road bikes are built for speed as we’ve already established, but some are designed just to get you from A to B at your own leisure. The gears of these bikes are smaller than the average bike, why that is, comes down to how little effort is required if a bike has smaller chains. Owning a road bike is an experience like no other, one that only gets better in time the longer you travel, and the more you use it! We were a tad skeptical about switching to a road bike as we thought we were happy with the mountain bike we owned at the time. We’d commute to work every day and heard through friends that road bikes were a lot more efficient, at first we didn’t believe them until we tried one out and have never looked back. Making this article was an incredibly rewarding experience for us simply because of how much we learned about the benefits of owning a road bike in finer detail as we were researching the bikes you see in our list here. We worked very closely with a rather tight-knit group of individuals who all share the same passions as we do when it comes to cycling in general. This article brought us all closer together, and to that, we are forever grateful. We knew that we wanted to create a list of some of the best road bikes out right now well before we actually began researching the bikes you see above. Our goal was always to help those who didn’t know where to start when it comes to these bikes and to help anyone who was in need of guidance — something we believe we more than delivered on. Our article began with a list of around 45 different road bikes, bikes that we had discovered over countless hours spent sifting through internet sources and catalogs. This process was lengthy but definitely worth it as we could have easily found any old list and reworded it for you all but we didn’t! We pride ourselves knowing that our article here is from our mouths only. Since multiple people were working on the research aspect of this project at any given time, we found it incredibly easy to bounce ideas off of one another and ask questions if there was a certain bike included that we weren’t sure was worth putting into an article like this. This open line of dialogue allowed us to craft a diverse list of road bikes that each hit a different beat depending on what it is you’re looking for! Once we had established a baseline of products, we then trimmed our article down by eliminating those that we deemed too similar to some of the other road bikes in our list. It didn’t take us long to trim to be completely honest as we kind of had a rough idea on the sorts of bikes we wanted to include before we even went about making our final list. Our list consisted of a lot of branded bikes, which was fine, but we didn’t want to make a list that was primarily one brand. At this point, we had around 17 different bikes left in our list once each had gone through a very vigorous — and often heated — debate. Our next stage was the best part of the article for us as we got to try out the bikes first hand by riding them! Each bike was ridden for around an hour each, traveling around a mile away and back to see how well it performed. Most of the bikes in our list of 17 really surprised us in terms of how rewarding they were to ride, although some didn’t really live up to the hype of being the best road bike, unfortunately. Each of the bikes we tried out was given a rating out of 10 and were given notes as to why we thought they were deserving of such a rating (somewhat similar to how our above list is formatted). Multiple people tested these bikes out for themselves so that we had an idea to compare and contrast our findings. Once we had completed testing out these bikes, we then sat down and discussed our results. These talks would lead to the formation of our top 10 list in its current form! We tried to refrain from swapping out certain bikes as we were rather happy with how the list turned out and didn’t feel it necessary to pick at it. We felt that every road bike here offered something different in terms of price and quality, making it rather appealing to the everyday commuter, to the adventurer who strives for more! Yes, you can. 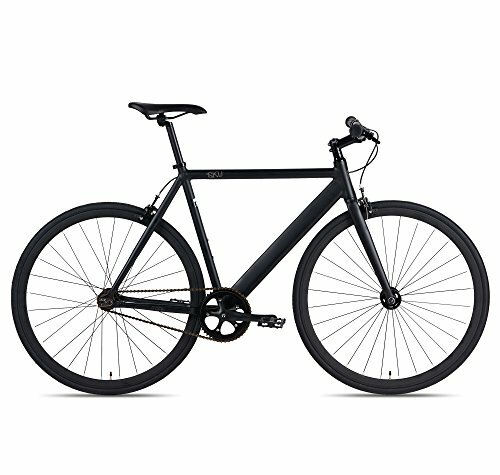 A road bike is essentially the same as any other bike, the only differences lie in the weight, framing, and size of the wheel/handlebars, everything else you’ll find in most standard bikes, which means you can customize this bike as you see fit! Remember to check to see whether or not the parts you’re buying fit your road bike as some might not fit. We’d personally recommend that you try to avoid replacing the parts on your road bike as much as possible. We understand that some parts might wear down over time, but the best your road bike will ever be is during those first rides where you’re just getting a feel for your new steed! Also, try to avoid painting it different colors unless you know what you’re doing entirely for obvious reasons. We’d like to think so, but this is really a question for you. Are you comfortable with traveling at high speeds when on a bike? If you aren’t then maybe you should consider a different sort of bike or taking it easy once you’re riding a road bike for yourself. Road bikes require you to have more control over the bike as your body is positioned a lot differently on a road bike compared to other bikes. If this is your first road bike, then you might want to take it easy. A little goes a long way with a road bike, meaning you don’t have to work as hard to cycle outright!